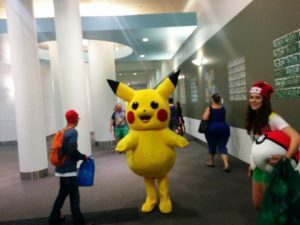 Have you ever left an energy conference and run into a life-sized Pikachu Pokémon©? How about coming face to face with a Star Wars stormtrooper©? 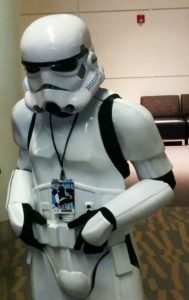 I recently encountered those and many other colorful characters, most of whom I didn’t recognize, when the energy conference I was attending, HydroVision International, was ending while Denver Comic Con was starting. Both events shared the same space, in the Colorado Convention Center, for a few hours on a recent Friday morning. The co-location of those two very different events helped explain the 150% increase in parking I had to pay for that one day—from $12 per day to $30 per day. Apparently, Batman© needed the space to park his Batmobile©. Talk about two really different ships passing in the night: 3,000 hydroelectric experts were exiting the convention enter while roughly 115,000 comic-book character aficionados were starting to stream into it. Each member of each community was immersed deeply in their own world. Each a bit insular, even quirky. 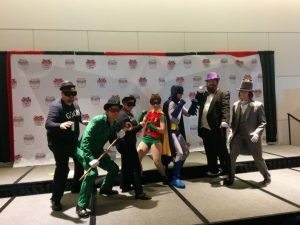 As I took in the performance art that was Comic Con, I realized our industry’s stories aren’t quite as colorful as the Batman creation myth, or the back stories that inform the Riddler©, Penguin© or Mad Hatter©, villains Batman and Robin© opposed on a weekly basis in the campy 1960s TV show (right). So be it. That just means we have to try harder. Part of the title of this post came from Robin’s fevered expressions whenever he or Batman were threatened by the vile villains in Gotham City. In fact, there’s a website that catalogs all 368 of Robin’s “Holy …. !” exclamations from the “Batman” TV series. You can’t make this stuff up! As luck would have it, the particular HydroVision International panel session I had just exited concerned how hydropower could better connect with stakeholders and opinion leaders through… wait for it…storytelling. The panel, moderated by LeRoy Coleman of the National Hydropower Association (at the podium, above), featured three seasoned energy communicators (left to right): Tim Brown of GE Renewable Energy, Alexsandra Lemke of the U.S. Department of Energy and Teresa Plant of the Western Area Power Administration, a federal power marketing agency. All agreed that hydropower was not getting the respect it deserved because, in large part, it has failed to tell its story effectively. For too long, hydro has been a story of engineering, data, equipment, law and technology. The human aspect of hydro has been sucked out, leaving behind technical communications about an important energy source that no one but hydro professionals cared about. Sound familiar? Wind and solar have taken up so much of the oxygen in the renewable energy debate because developers of those projects have been, and are, telling stories that align with viewers’ and readers’ aspirations using language that is easily understood and emotionally impactful, commented LeRoy. The visuals are attractive and the aspirations are universal. “We’re doing OK now, but there’s a lot of room for improvement,” LeRoy told the HydroVision audience. “To capture the public imagination, we need to figure out who we are. What is our brand?” Then that story must be told again and again. I’m a big believer in managing perceptions with storytelling, and it was refreshing to hear this panel explore this topic at a fairly technical industry conference. I have long urged utilities to connect more deeply with their stakeholders through storytelling in blog posts like this. And this. And storytelling also is turning out to be a topic of interest at my communications workshops. 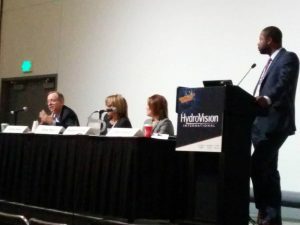 Fortunately, the three panelists at the HydroVision International session had some very specific and practical ideas as to how to become better storytellers. 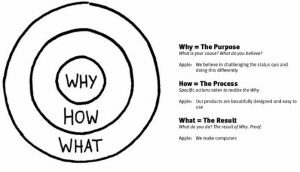 The graphic below illustrates the differences between the” why,” “how” and “what” using Apple Computer as an example. 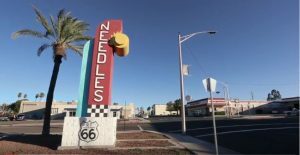 Teresa showed the HydroVision International session a video entitled “Rescuing Needles” which highlighted the agency’s mission of keeping alive the desert community of Needles, California. 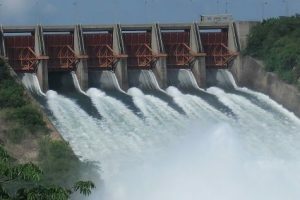 “Americans value hydropower beyond its low price,” she said, sharing the results of market research conducted by the University of Oklahoma’s Center for Energy, Security and Society and Sandia National Laboratory. “The broad public supports hydro as a clean, renewable and sustainable resource.” She urged hydro communications practitioners to tell that story again and again. “Is your story about a specific problem, a specific solution or a specific person?” asked Tim of GE Renewable Energy. The clear implication: If it’s not about one of those three things, then it’s not a story. You need to go back to the drawing board. One way to tell stories your mother or your children would understand and accept is to talk with them and find out what’s important to them. What’s cool, and what’s not. What engages them and what turns them off. Mothers and children most likely value different things, and I won’t presume to compile lists here. But you have a whole repository of story ideas right at hand. “Holy Ghost Writer,” as Robin himself would exclaim! 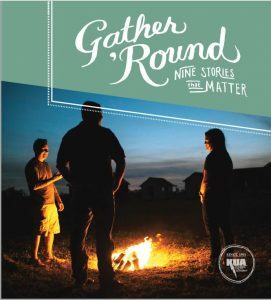 EEC partnered with Kissimmee Utility Authority (KUA) in Florida to write that utility’s 2015 Annual Report by telling the stories of individual KUA stakeholders. This report won a national award of merit from the American Public Power Association.